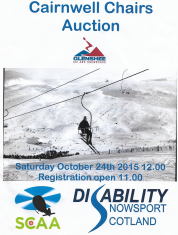 In 2015 the old Tiger Chairlift was taken out of use, and the chairs from this iconic chairlift were put on sale via an auction on 24th October 2105. 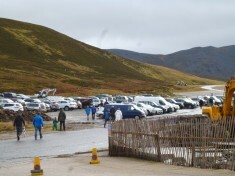 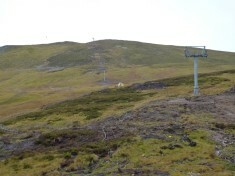 Money made was shared between the Chairlift Company, Scottish Charity Air Ambulance and Disability Snowsport Scotland. 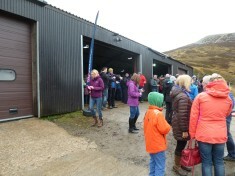 The day had bad weather, but several hundred people turned up, enjoyed hot rolls and drinks and a reminisce over old times. 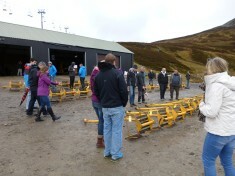 The auction was very busy, with some chairs selling for around £600, and the average being well over £400.